On behalf of the EEFC community we extend our deepest sympathies to Earl’s family and friends. The board, staff, and membership are grateful that gifts in his name can honor his memory by bringing Balkan music & dance to others through our annual summer workshops. He touched many of us during his visit in 2010 with his wife and sister. May his memory be a blessing. 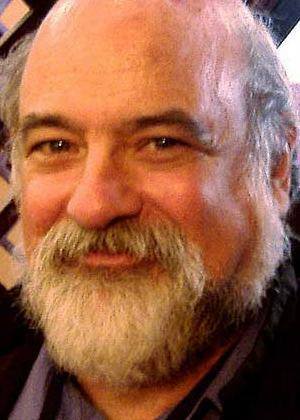 Earl H. Galitz, age 68, passed away February 2, 2015 from complications of various illnesses over the past two years. Earl lived in South Florida since the age of 8 and was a family lawyer in Miami for over 30 years. He retired in 2013 and moved up to Baltimore to be near his sister. An avid stamp collector, he was an expert in Bulgarian philately with many international award winning exhibits. He loved to play and dance to folk music. He also played classical chamber music for many years and had a collection of over 4,000 compact discs. Musically gifted, he could play almost any instrument. His wit and intelligence was the life of many a party. Earl and his wife both enjoyed traveling the world, eating exotic foods, and having friends from all places and walks of life. His parents lived to 99 and 95 so it’s just not fair that he didn’t emulate them. However, he did live life just the way he wanted it and had fun along the way. If you wish to make a donation, you may donate either to Heifer International or the East European Folklife Center. Earl is survived by his very sad wife, Marisa and his very sad sister, Nina. Memorial will be held in South Florida the weekend of March 13th. Contact mmgalitz@gmail.com for details.